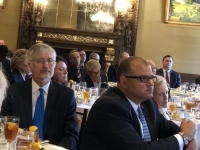 Newly appointed German Ambassador to Washington, Ms. Emily Haber’s short notice visit to Southern California began with stops in Los Angeles on Monday and appearances in San Diego and Tijuana on Tuesday and Wednesday. Ambassador Haber follows Ambassador Peter Wittig who now serves as German Ambassador to Great Britain. Ambassador Haber, first female to represent the German Government in the U.S., presented her credentials to President Donald Trump on June 22, 2018. She joined the German Foreign Office in 1982, with former postings in the Soviet Union, Russia, Turkey, as State Secretary for the Ministry of the Interior and State Secretary of the German Foreign Office. Lately she was engaged in formulating Germany’s policy on migration interior ministry. In a vivid dialogue with former U.S. 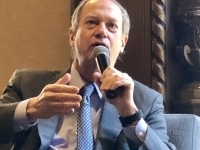 Ambassador to Germany, John B.Emerson, at LA’s prestigious Jonathan Club in the presence of 100 invited guests, Ms. Haber offered a peak into the presently rather tumultuous relationship between the two countries. 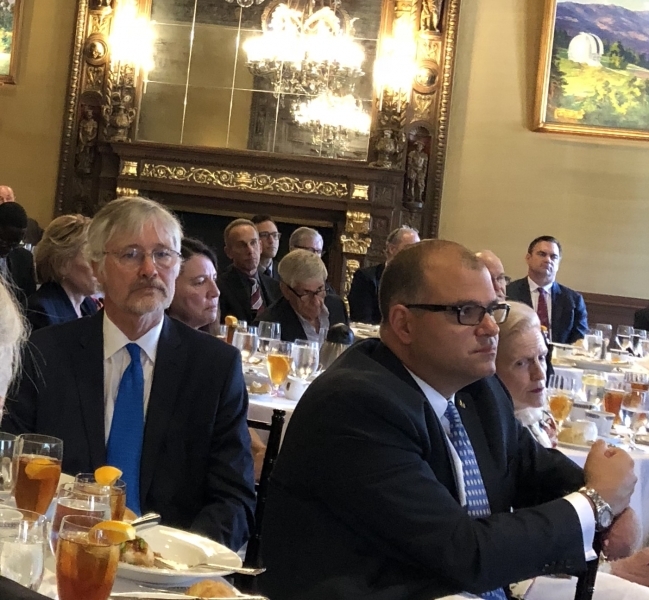 Invoking Chatham house rules at both meetings, the American Council on Germany (ACG) Los Angeles and during a meeting with a few members of the San Diego Business community, Ambassador Haber shared her stance on Germany’s position in the EU, the Iran Treaty, Nord Stream 2 gas pipeline from Russia, German and US immigration. “Speak softly and carry a big stick” remains to be seen from Ambassador Haber. During her visit to San Diego, the Ambassador shifted to a “listening mode” after whispering, remarkably short soft introductory remarks, leading a discussion which other than the necessity for vocational training exchanges between the U.S. and Germany, lacked focus, pertinent information and context. A few takeaways: While at the interior ministry, she authored a paper stating that it was permissible to turn back refugees registered in another EU country even though that was not the current practice. This is a strong issue of contention between Ms. Merkel and the current interior minister, Horst Seehofer. Thus not surprisingly, the handling of US- Mexico emigration, seemed to be of particular interest to the Ambassador. Germany’s dependence on Russian gas was noted at about 9%. According to Forbes’ Dave Keating (July 2018) “Germany is the largest buyer of Russian natural gas, and makes up 27.5% of Gazprom’s total exports in 2017.” The development of a common European front and strong European coalition was brought up on multiple occasions as best practices to approach trade issues, the Iran Treaty and the Trans-Atlantic Alliance. 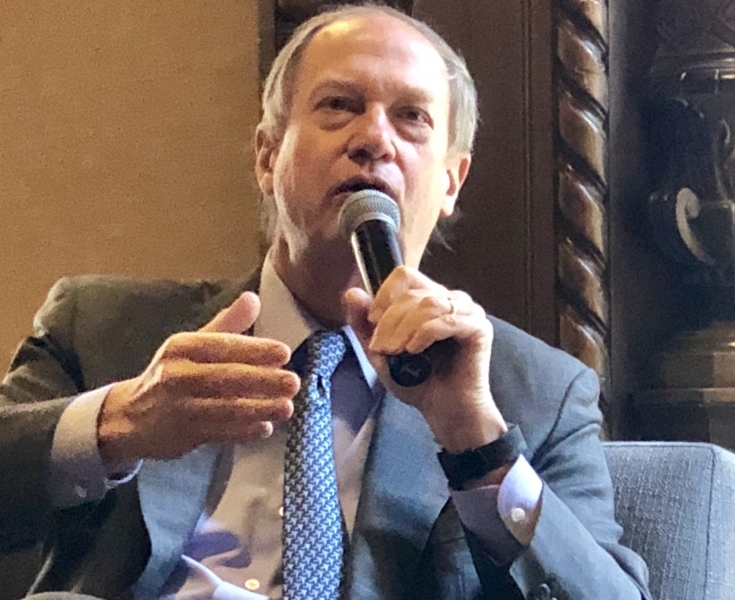 Hopefully, at some point, Ambassador Haber will be able to contribute to initiatives which strengthen interoperability and communication between the two countries by redefining roles, missions, and capabilities of alliance forces and outlining key realignment and transformation initiatives.